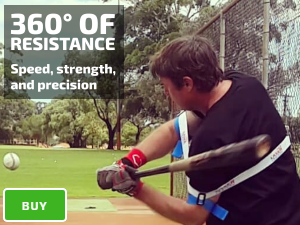 Our groundbreaking baseball/softball power swing trainer, produces 360 degrees of Exoprecise ® ℗ resistance; harnessing the movement of your elbows to strengthen muscles, trigger bat speed, steering you to connected mechanics. Accommodating, a world-first Sport Precise training method; swing as normal, during regular batting practice. Download our quickstart guide (PDF), adjusting the size to fit kids and adults. 30-days money back. See more below. 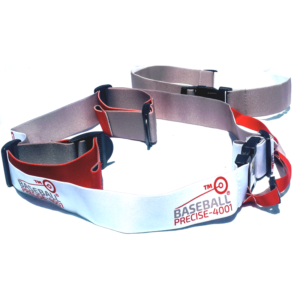 Customers include Big Leaguers, D1 colleges, national programs, and everyday players; #MyLaserPowerSwing. 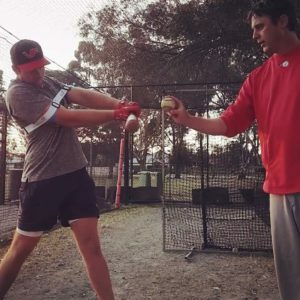 Enjoy free website access, to a range of easy to follow guides including; hitting programs, practice plans, and tips. 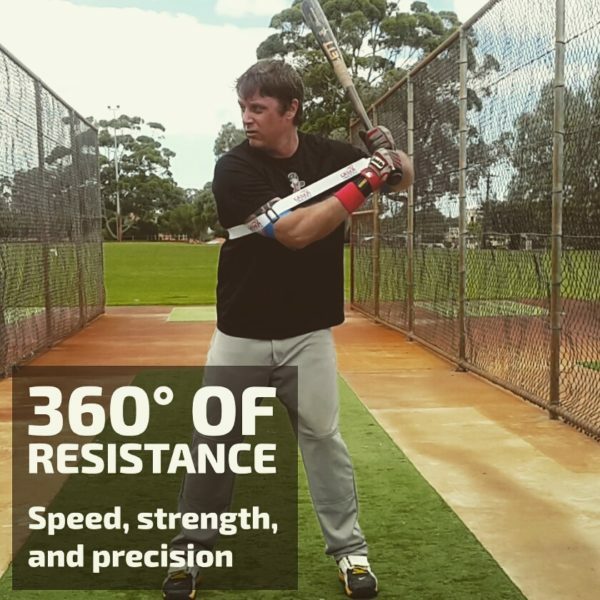 BAT SPEED: At the time your elbows reach the apex of a movement away from the body, exerting the maximum pushing force, releasing from resistance accelerates the return. MECHANICS: Throughout practice, our unrivaled power hitting trainer exerts the precise amount of resistance to your elbows, navigating the optimal distance from your body; improving mechanics. 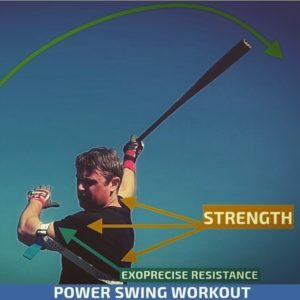 STRENGTH: Moving the elbows away from your body creates an outward pushing force, producing the precise amount of resistance to strengthen automatic power hitting muscles. Raising your elbows demonstrates the basic principles, as Exoprecise resistance strengthens the thoracic core, obliques, intercostals, abdominal, releasing triggers the acceleration back to your body, stimulating the acceleration/deceleration muscles of your shoulder; nurturing fast-twitch muscle fibers.